I recently had the pleasure of attending a small class on Chinese tea and tea ceremony. Chinese tea ceremony is quite a different way to drink tea than either traditional English style or Japanese tea ceremony. Traditional Chinese tea pots are made of unglazed clay, and have been seasoned from years of use. The clay absorbs the oils from the tea leaves and eventually, over time, can develop a glazed appearance, especially on the inside of the pot. The clay used to make these tea pots is a special Yixing clay that is only found in one small town in China, near Shanghai. The Chinese believe this clay can dissolve toxic minerals in both tea and water. Yixing teaware are highly collected. The teapots are much smaller than what we are used to here in the West, typically holding just 1 cup, or 8 ounces of liquid. 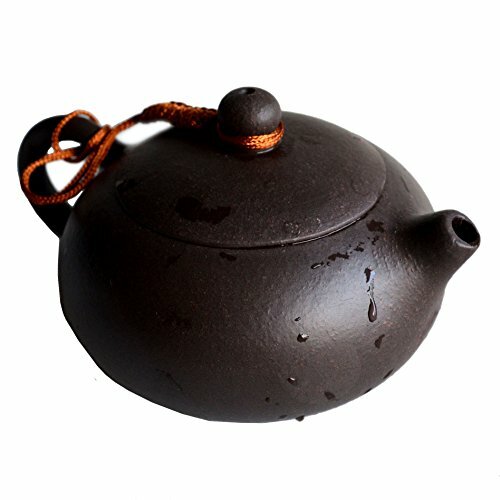 Since the clay absorbs some of the tea’s essence, one uses different pots for different types of tea. The tea pots and cups sit on a special slatted bamboo box to drain and hold the excess liquid that will be poured over the tea pots. Step 1: Rinse the pot. If you haven’t used the teapot for a while, rinse it out first with hot water. Step 2: Put tea into tea pot. Depending on what type of tea you are making, you will heat the water to different temperatures. Water for green tea should never be brought to boiling. It should only be heated enough so that tiny bubbles are rising from the bottom of the kettle (about 85°C). 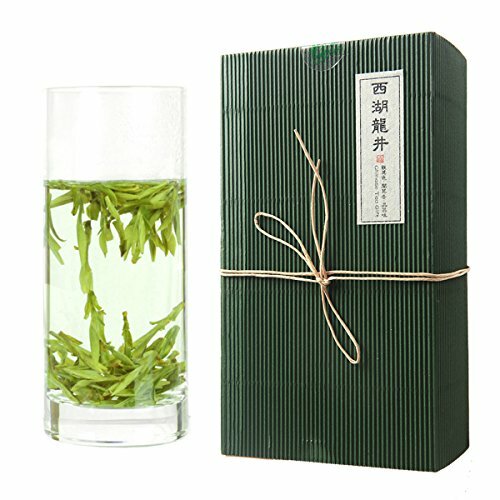 Water for jasmine tea can be a little hotter, and water for Oolong (wulong) or black can be boiling (100°C). Never heat water in a microwave for tea, nor use the instant hot water dispensers available in some sinks. Heat it in the traditional method—in a kettle, on a stove. The water from the kettle should then be poured into a large clay teapot. A cozy placed around the large teapot will keep it warm. Step 4: Pour water out from this large teapot into the small teapot from some distance, until the leaves are covered with water. Almost immediately after hot water has been poured into the small teapot, pour out the water among the small tea cups. Step 5: Refill the teapot with water. Step 6: Pour out the tea into the tea cups. Note that this first serving of tea should only actually “brew” for 10-30 seconds. By the time you have finished emptying the cups over the tea pot, it is time to pour out the tea from the tea pot into the cups. With each subsequent infusion, add approximately 30 seconds to the brewing time. A good tea will produce a minimum of 3 infusions. Step 7: Place the tea cup in a lacquer, wood, or bamboo holder. Offer to your guest. If you are the guest, receive the tea cup and holder with both hands. To drink the tea, hold the tea cup holder with your left hand and lift the tea cup gently with the fingers of your right hand. Each tea cup will hold 2 or 3 sips of tea. The best quality tea is expensive, even in bulk, but still less expensive and much higher quality than what you can get in tea bags. For comparison, you can easily pay $100 per pound for green tea in China. You wouldn’t usually buy a whole pound of tea, however, just a quarter pound at a time. The four teas we tasted during our class were: West Lake Dragon Well (green), Green Peak of Tongting Lake (green), Tie Guanyin (oolong), and Pu Er Cha (black). The most difficult part of tea ceremony is to know more about different tea. Right tea for right time.It is more interesting than ceremony itself. Hello, first thanks for the great article. I am a Chinese who study in a western country. I really like drinking the different type of tea and interested in Chinese tea ceremony. Because I love tea and tea culture, I create a Facebook, twitter, and WordPress account to post the knowledge about tea and tea culture. Did you noticed that nowadays, a lot of teenagers overly drinking soda, I’d like introduce them tea knowledge make them interested then change their overly drinking soda this bad habit. If you interested in my idea, please follow my account, thanks! Will you please answer the question; what significance the clay figurine on the draining table has, if any. In Shenyang, China, I visited a tea shop by the Black Gate. During the preparation of tea, for sampling, I noticed a samll dragon figurine on the tea table. This figurine was doused with tea, each time a new kind was prepared, before serving. What what is the significance/lore of the dragon in tea preparation? Hi GW – You might try looking at this article on tea bricks over at Wikipedia. Apparently you chip a piece of the compacted tea off, rinse it, and then make tea with it. Hi, Nice pictures and write-up. My son recently returned from a trip to China and brought me back a hardened cake of tea. It only has Chinese writing on the wrapper but I think it is green tea. It’s shaped somewhat like a ball cut in half and it comes in a nice box. Are you familiar with this tea and do you know how I should attempt to break it apart? It is very compact and hard to get at. I just returned from a month in Shanghai. I purchased some tea ceremony items, (pot, cups, strainer, utensils, table etc. ). I’ve been trying to remember the order of the ceremony, so this article was a nice reminder. ! Re: the little figure: I bought a figure of the frog god with a coin in his mouth to pour the rinse over. My host told me it was for good luck. Hi, Jennifer. I’m trying to answering your question here. The serving process of Chinese tea depends on the location, and drinking customs and tea features vary a lot. Generally, the main reason that the first pot should be poured out, as Elise said, is cup should be kept warm and the tea tastes better after it’s washed by hot water. And the first ‘washing’ can bring aroma through all the pots and cups after liquid going through them. Sometimes, people from Southern China will take this custom, which is typical of adding a small cap on each cup before the tea is served. Host usually clenches the cup with cap and shakes upside down, and let guests smell the aroma left on the cap. So I guess the clay figure is for the aroma use. Hope it helps. On a recent trip to Beijing I attended several tea ceremonies that included a little clay figure on the draining tray. My hosts poured the first pot of tea (the “rinse”) plus the leftovers over the little figure. Any idea what the significance of that figure is? Where do you live? We are having a an educator from Taiwan give us 3 hrs teaching and practice in the tea ceremony on Feb 25. Mrs. Shieh is an educator and researcher in early childhood education in Taiwan. As part of her effort to introduce younger generations to traditional Chinese culture, she developed a short course on the Chinese tea ceremony for use in elementary schools. The course has been successful not only in schools but also in colleges and universities. Mrs. Shieh will take us through each step of the process and show us how to incorporate the meditative mindfulness that is integral to the tea ceremony. Thank you for the great article. I just returned from a business trip to China (2nd in 5 weeks) and received a gift of nice tea set from my host. I wanted to treat my wife to a mini-tea ceremony for Christmas. Of course my business tea ceremonies were much less formal, but I loved your article and will incorporate as much as I can to share it with her. We have never been “tea people” if you will, but I found it relaxing and very intriguing while visiting China with both Chinese and Taiwanese business people. Awesome article! I love tea and am totally fascinated with both Japanese and Chinese tea ceremonies. This write-up sheds light on this wonderful ceremony and I hope there will be more to come soon. I too would love to have details on the serving ware and how to obtain. Firstly, I just want to say ‘thanks a lot’ for your information. I’m going to open a Chinese tea & Chinese tea ceremony shop in Vietnam. Your blog is very infomative. 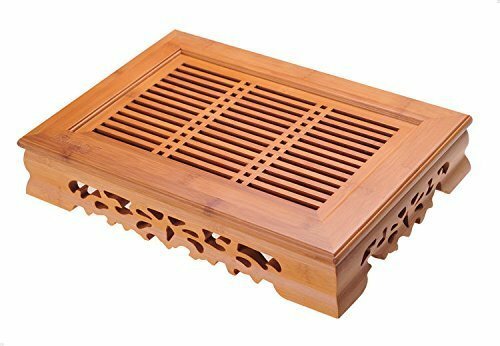 If possible, please give me more detailed info of chinese tea ceremony & history of chinese tea styles. Thanks in advance. Whilst in Beijing I attended a tea ceremony and as a gift was given a little pottery pig that is used to test temperature of water – it is steeped in (cold or hot for a period? )water and then put into the boiling water for the tea and taken out and it ‘urinates’ when the temperature is correct. Does anyone have full instructions for this novelty please? Thanks so much for the information! I had no idea there were other Sac/Davis/etc area bloggers! I love the pictures on your blog, so crisp and vivid (I have a cheapo camera that can’t quite get the job done, lol). I look forward to reading and hopefully getting to know the other Sac Area food bloggers! WOW! Neatly written article. I never knew about the Chinese tea ceremony. Thanks for the write up, Elise!